What are Greta’s feelings toward her husbandand her marriage as she is leaving for Toronto? What remains unspokenbetween them? Discuss what Katy understands and experiences onthis journey (see especially the description at the bottom of page 26).What does Katy feel about Greg, and then about Harris Bennett? Why doesMunro end the story as she does, with Katy pulling away from hermother? Does the story suggest that there is an inevitable cost when awoman attempts to break through the limitations of her life? Discuss the paragraph beginning, “It would become hard to explain, lateron in her life, just what was okay in that time and what was not” (6),in light of Greta’s actions. She is a poet: How troubling is the gapbetween her identities as wife and mother, and as poet and artist? What do Oneida and the narrator have in common? Howare they very different? The narrator is embarrassed that she has takencare of him when he was ill, and assumes that he is “like a neuter toher” (146–147). Why does he misunderstand Oneida’s willingness to carefor him, and her desire to live with him (148)? What does thesight of the baby skunks evoke, at the end of the story? What light doesthe narrator’s preface (133-34) bring to your sense of what hashappened between him and Oneida? As in “Pride,” a man underestimates a woman who is attached to him:discuss what is different about the motivations and desires of thecharacters in the two stories. How surprising is it whenCorrie realizes that Howard has been keeping the money supposedly meantfor Lillian’s blackmail payments? How does Corrie figure this out? Howdo you interpret the final paragraph? After the removal of a tumor, Belle is in a strangestate of mind and tells Jackson about what happened on the day herfather stepped in front of an oncoming train (196-98). She is relievedto have spoken about this memory. What effect does this conversationhave on Jackson? What makes Jackson decide not to return to thehospital, or to Belle’s house, which he stands to possibly inherit? Do the story of Jackson’s relationship with Ileane Bishop, and what welearn about his stepmother’s abuse, offer an adequate explanation forJackson’s transient life? What are the human costs, in this story, ofwhat Belle calls “just the mistakes of humanity” (198)? At what point do you understand that thenarrator is having a dream? What strange details indicate this? What isdreamlike about the narrator’s efforts to find the doctor’s office? In what ways does the story most accurately represent the disorientation and confusion that come with aging and memory loss? Franklin wrote a poem about his passionate affair withDolly just before the war, and now, when he is eighty-three, Dollyturns up selling cosmetics. Is the narrator’s reaction overblown? What is comical or incongruous about this story? What does it say about the intersection of aging, memory, and passion? What aspects of the mother’s behavior are troubling toher daughter and make her welcome an alliance with Sadie? What isadmirable about Sadie, especially given the time period? What is strange or uncanny about the idea that Sadie, in death, mighthave moved her eyelid? The narrator thinks, “this sight fell intoeverything I knew about Sadie and somehow, as well, into whateverspecial experience was owing to myself” (269). How do you interpret thismoment and its meaning? The narrator attributes the strangeness of her thoughtsthat particular summer to a special status, “all inward,” conferred onher by learning that during a routine appendectomy, the doctor hadremoved a tumor “the size of a turkey’s egg” (275, 272). She says, “Iwas not myself” (276). What do you make of the narrator’s efforts toexplain the reasons for her state of mind and the worry that she couldstrangle her little sister (277)? How does the encounterwith her father help the narrator to deal with her fear about herthoughts? Why is it significant to the impact of this encounter that inthis family, emotional troubles or worries usually go unexpressed? How is the mother’s character revealed in herreaction to the presence of a prostitute at the dance, as channeledthrough the daughter’s observations? Why does the narrator find thevoices of the soldiers so intriguing and so comforting? Whatdoes the story express about the difficult relationship between mothersand daughters, especially regarding the mother’s supposed role as modeland mentor in her daughter’s adolescence? The title of this story comes from the account themother gives the narrator of hiding her, when she was an infant, from astrange and threatening woman who used to live in the family’s house(318). This and other salient memories combine to create a picture of anoften difficult family life: the mother’s physical decline, the failureof the father’s fox farm and his later work in a foundry, the failureof the narrator to return home for her mother’s funeral. Does thisstory seem to embrace the idea that a significant task for the writer isto extend understanding, imagination, and empathy into one’s own past,and to make amends for errors, cruelties, and misjudgments there? Seequestion fourth bullet below. What is the effect of the collection as a whole, given the order, pacing, and content of the stories?What view of life does it project? Compare the treatment of women by men in “Train,” “Amundsen,” “Haven,” and “Corrie.” Why do these women allow themselves to be lied to or taken advantage of?What is the dynamic that permits an uneven power relationship? Compare the endings of several stories.Do they end in a state of suspension or resolution?Think about how the endings invite questioning, reflection, and interpretation. 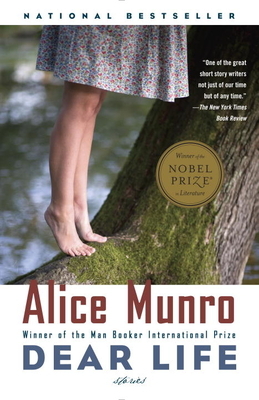 Discuss the last four stories in light of Munro’s brief introduction of them as “not quite stories,” as “autobiographical in feeling, though not . . . entirely so in fact,” and as “the first and last—and the closest—things I have to say about my own life” (255).Should they be read as if they were fictional stories, or somehow differently?If you were to tell four important stories from your own life, what would they be?